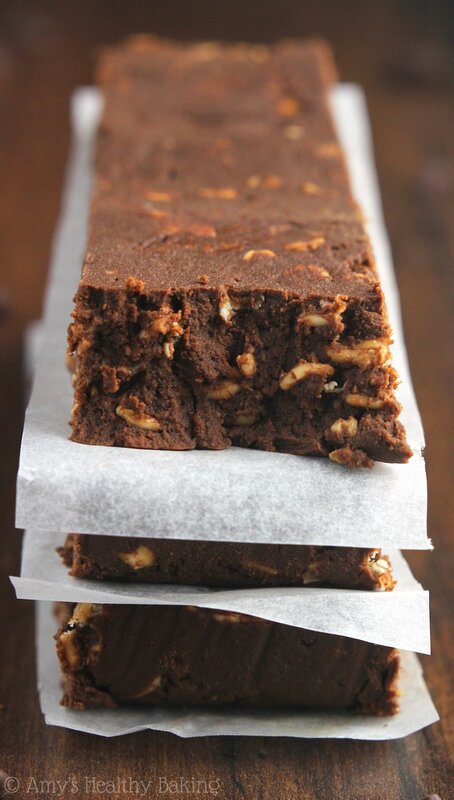 Fudgy, brownie-like protein bars full of rich chocolate and coffee flavors. 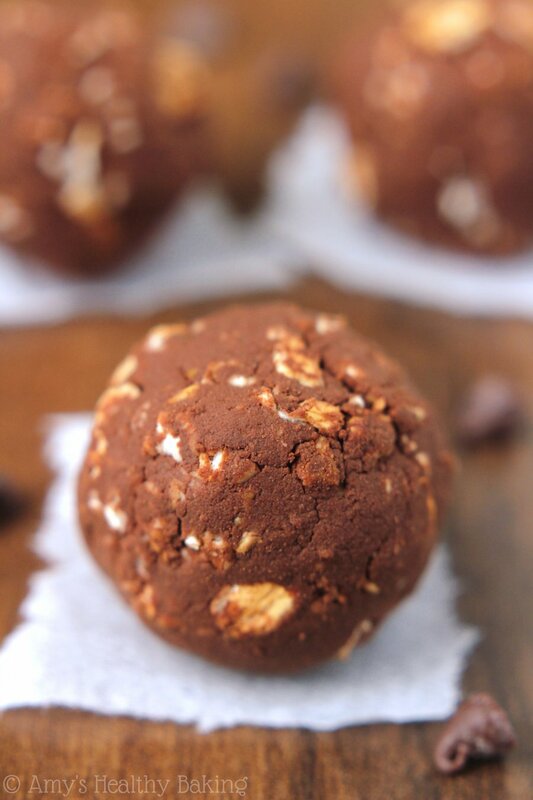 They’re perfect for a quick energy boost or curbing those dessert cravings! This past Friday, my alarm sounded a little earlier than normal. After groggily pacing through my morning workout routine, showering, and checking blog work off of my to do list, I loaded my weekend bag and little pup into my car to drive to my parents’ house. Despite a few slow cars in the far left freeway lane, I still pulled into the driveway by mid-afternoon. My dog and I raced through the front door while shouting (and barking) a quick hello to my dad before I quickly changed into a thick sweater, tucking a fleece blanket under one arm and a puffy winter coat under the other. Then Dad and I hopped into his car to drive to the baseball game! We walked through the stadium gates shortly after they opened, making a beeline for our seats behind the home team’s dugout. While most of our family and friends prefer to arrive just before the first pitch, Dad and I love getting to the ballpark as early as possible to watch batting practice. Yes, I know most people find baseball games boring, let alone sitting in an empty stadium for an extra 2 hours with almost no action to watch whatsoever, but those moments have always been my favorite quality father-daughter times. We alternate between talking about the game, our work, and life in general, and I always end up thinking just how lucky I am to have my dad and share that special bond with him. The only downside to arriving at the stadium early is that my stomach starts rumbling partway through the game! With limited food options, and because I rarely find the atomic hot sausages appealing that my dad usually buys, I often tuck homemade snacks into my purse. 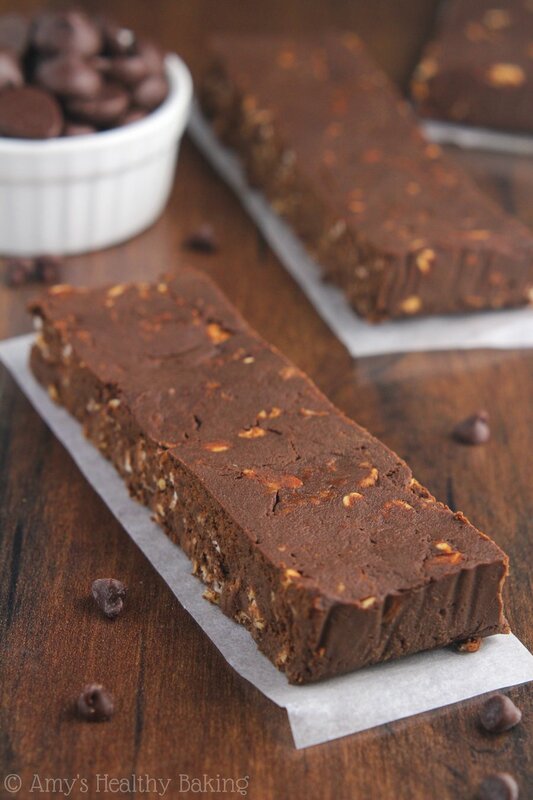 These Mocha Brownie Protein Bars were what got me through Friday’s game! 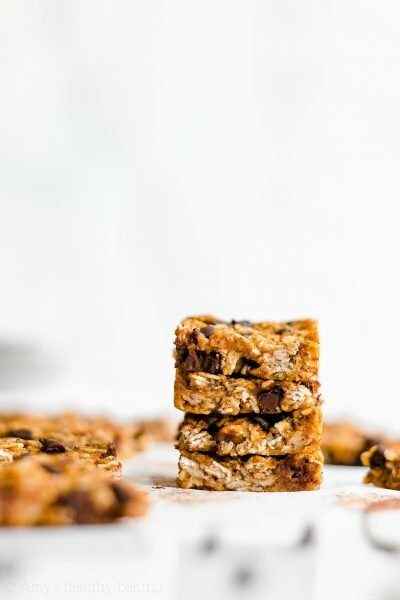 These bars are incredibly easy to make, and they were actually inspired by my friend Jessica’s cookbook, DIY Protein Bars. 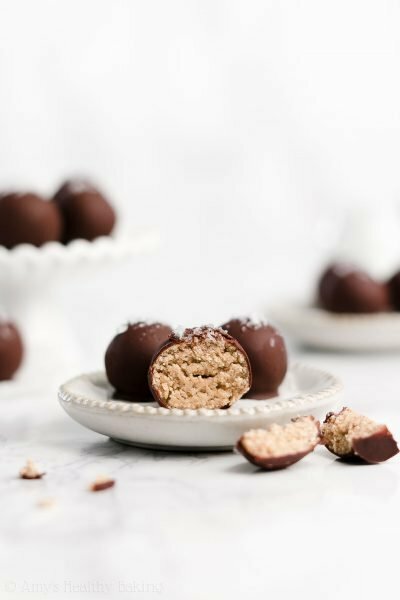 The cookbook is full of healthy recipes, all made gluten-free with no refined sugar, with fun flavors like s’mores, caramel macchiato, and chubby hubby. I’m dying to try all of them! This recipe of mine required just 4 ingredients—how simple is that?? The bars start with vanilla protein powder, and I used PlantFusion to keep them gluten-free, vegan, and clean-eating friendly. Even for chocolate recipes, I still prefer vanilla protein powder because it usually has a nicer flavor compared to chocolate powders. 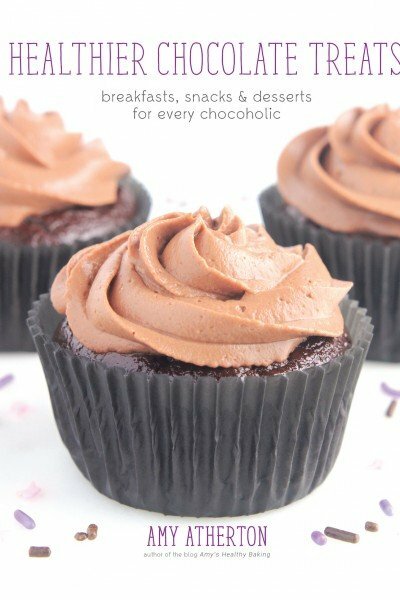 For the mocha flavor, we’ll add cocoa powder and coffee. The stronger the coffee, the more prominent its taste. 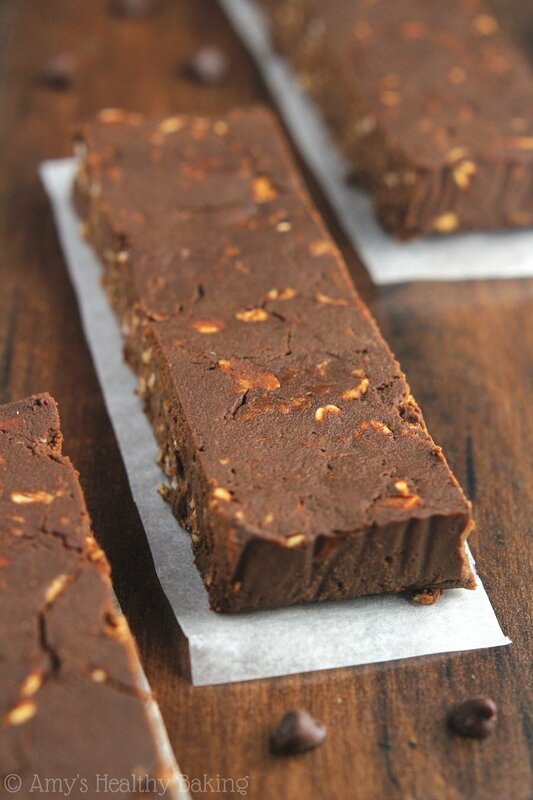 I originally made these protein bars with regular strength coffee, and I could barely detect it through the chocolate. 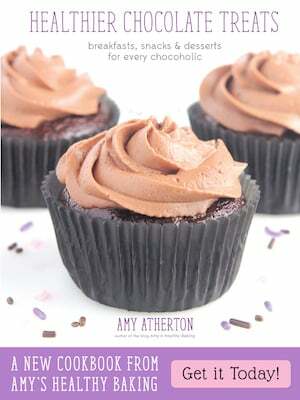 (Not a bad thing for a chocoholic like me!) If you prefer more of a coffee flavor, use double strength instead. After mixing together the ingredients, plus a little Truvia for sweetness, press the mixture into a loaf pan lined with parchment paper. (Easier clean up!) Chill until firm—or if you forget like me, until you remember that you have a chocolaty snack in the fridge!—before slicing into bars. 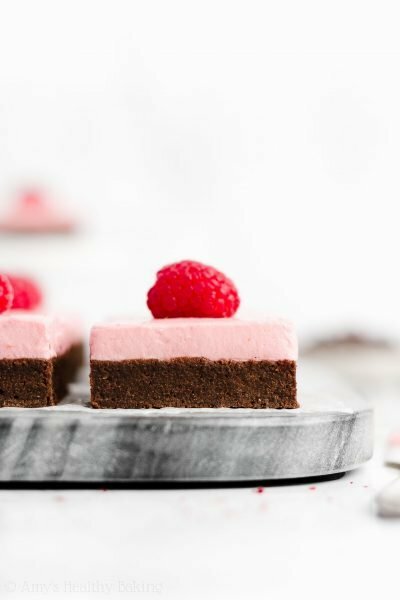 Nothing beats a fudgy brownie-like snack! 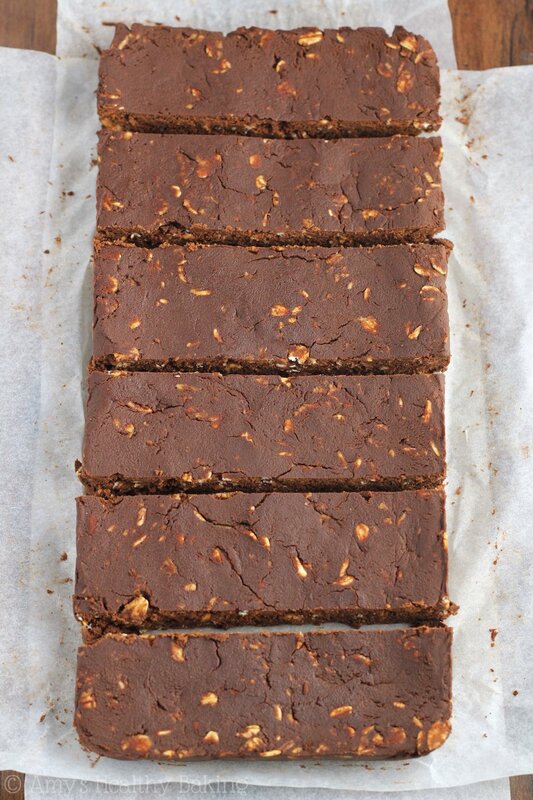 These healthy protein bars taste like a cross between a mocha and fudgy brownie! 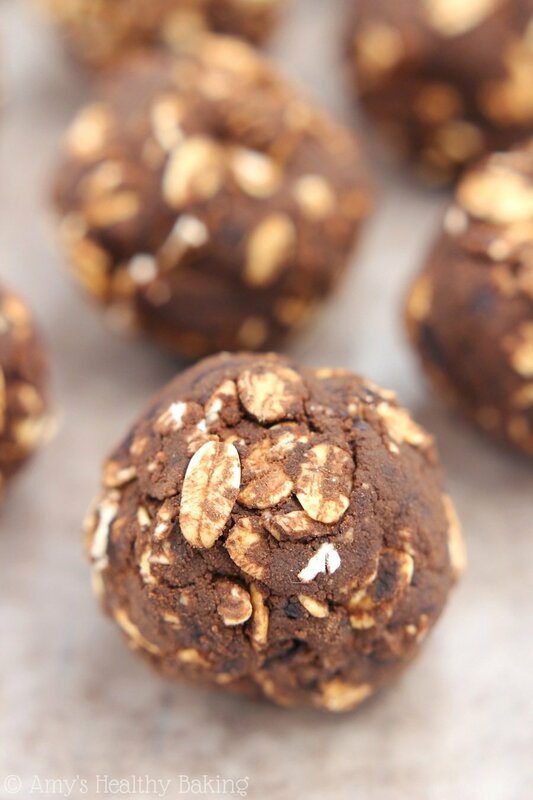 They’re great for snacks, a quick energy boost, or curbing dessert cravings. For best results, store the bars in an airtight container in the refrigerator for up to 1 week. Line a 9x5” loaf pan with parchment paper. 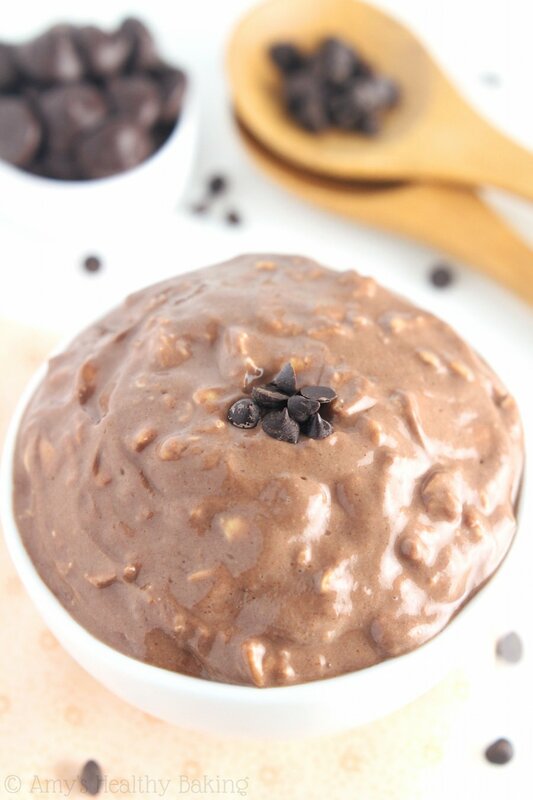 In a large bowl, stir together the protein powder, cocoa powder, oats, and Truvia. Mix in the cold coffee until fully incorporated. Transfer the mixture into the prepared pan, and evenly press it down with a spatula. Chill for at least 2 hours, or until firm, before slicing into bars. Notes: Not all protein powders absorb liquids or weigh the same. I have only tested this recipe with PlantFusion vanilla bean protein powder. If using a different plant-based protein powder, start with 3 scoops (even if that weighs differently), and add more protein powder or coffee as necessary. Do not substitute whey-based protein powders. The bars can be somewhat fragile and flimsy, even if eaten directly from the refrigerator. 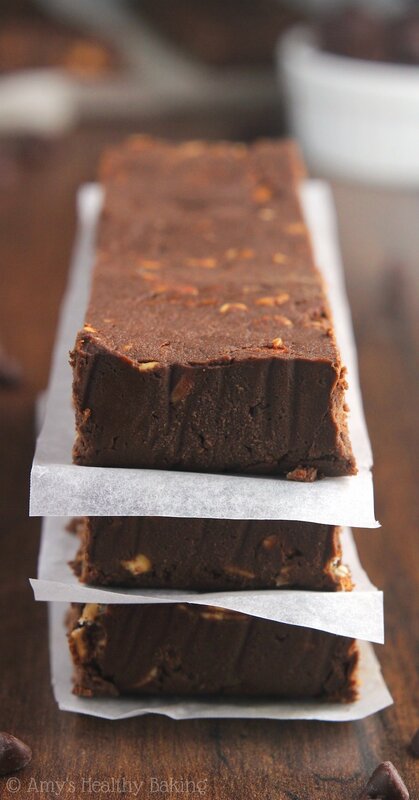 For firmer bars, freeze for 10-20 minutes before eating. For a more prominent coffee flavor, use double-strength coffee instead. For more tips and answers to all other questions, including substitutions, see my Protein Powder Recipes: Tips & FAQ page. All I had was chocolate whey protein powder, so I used that. Even after sitting in the freezer overnight, I never got it to solidify entirely. I was a little bummed, but I figured that because I wasn’t using the same protein powder I wasn’t going to have the same results. What did result however, was the most delicious brownie batter with a cookie dough consistency. Next time I’ll use the right protein powder, that way I’ll get to experience the true brownie. Thanks so much for the yummy, satisfying, and non-diet killing snack! i have whey protein powder at home and was planing on using it, but then a saw the note saying not to….is there a reason why? I really appreciate your interest in my recipe Liz! 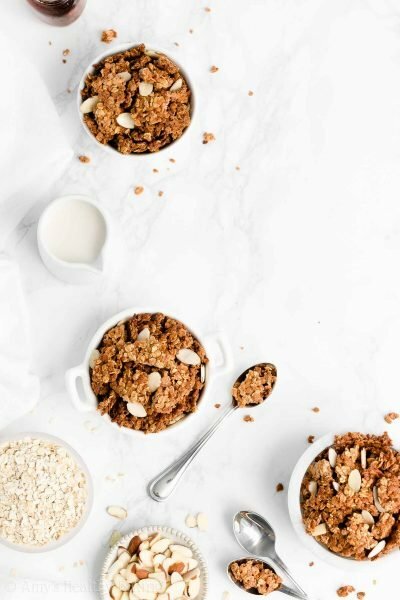 Yes, you can substitute coconut flour in place of the oats, if you prefer. The bars will most likely be flimsier and may have a different texture. Do NOT use whey protein powder; the bars will not set, even with coconut flour. Please see my Protein Powder FAQ Page (it’s in the Notes section of this recipe) for more info. 🙂 I can’t wait to hear what you think of these protein bars!